Earlier this summer we commissioned research to better understand digital identity needs in the developing world. That research focused specifically on humanitarian work in Africa and South East Asia, and a summary of those findings can be found here. We’re also keen to support the social sector in markets closer to home. However, despite our efforts, uptake in the UK in particular has been slow. 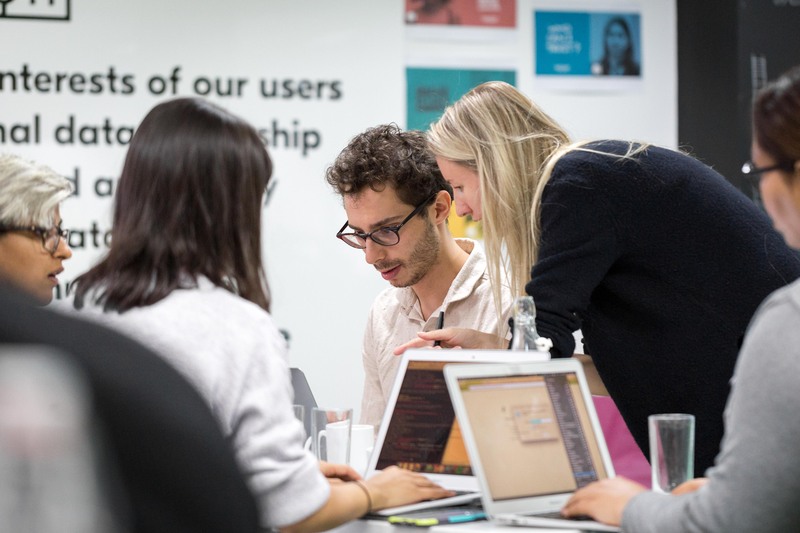 As part of a wider review of our social impact strategy, we felt additional research was needed to help us better understand the issues and challenges facing UK non-profits when it comes to making sense of, and deploying, digital identity solutions in their work. Today, we’re publishing a summary of those findings. The short document outlines the initial thinking behind our research, how we went about it, what we sought to learn and a few of our higher level conclusions. Introducing new tech could have negative consequences for beneficiaries. Participants were particularly critical about the implications of this type of technology (biometrics and legal identification online) for the lives of their beneficiaries. They were also worried about the use of identity data, security breaches and hacks, and the data being sold to third parties. A number of participants were not convinced they could trust any third-party digital identity solution storing any data that was critical to, and connected with, their work. Tech could make it harder to access charity services. Those accessing charity services may not have a smartphone, data, connectivity and/or confidence to use this. They might also lack access to legal identity documents which, in the case of some digital identity solutions, are a requirement for use. These were seen as significant reasons not to adopt a digital identity solution, even if it only applied to a small proportion of beneficiaries. Free tech is still expensive and difficult for charities to adopt. Offering tech solutions for free is not what initially attracts charities to adopt them, particularly when there is limited knowledge and understanding of the technology on offer. Concerns were raised about the costs in terms of time and staff capacity needed to understand the marketplace, the solution, how to adapt systems and implement it, as well as supporting staff, volunteers and beneficiaries to use it. Charities’ digital priorities prevent them from exploring new opportunities to adopt tech. Organisational priorities for digital focused on developing a digital strategy, undergoing digital transformation, improving staff skills, expanding the reach of face-to-face services and putting tools and guidance in the hands of beneficiaries. These priorities reduced the likelihood of exploring new technology, such as digital identity solutions. Digital identity solutions may help charities improve interactions between their staff, volunteers and beneficiaries. Organisations were most interested in using digital identity solutions to help identify volunteers and to prevent beneficiaries from having to retell their story. In other words, making it quicker to both verify that someone is who they say they are and to recall key information about them. You can download Challenges and opportunities for digital identity in the non-profit sector: Lessons from the United Kingdom here. Further information on Yoti’s emerging social impact strategy - which aims to address these kinds of challenges, and maximise the potential of digital identity for good - will be announced in the new year. Many thanks to YoungMinds, SafeLives, Parkinson's UK, sTandTall, NPC, Reason Digital, Lancashire Women's Centres, Tech Trust, Birmingham Asian Resource Centre, The School for Social Entrepreneurs - Midlands, Urban Devotion Birmingham, Breast Cancer Care, Campaign for Adult Protection from Grooming, Boost Impact, Reach Volunteering and St Basils - as well as many others who wished to remain anonymous - for their willingness to take part in our research. If you find the summary interesting feel free to share it far and wide among your own networks, and post it on social media. And please do get in touch if you have any questions, or are interested in hearing more about our growing body of social impact work.